The Wesleyan Refuge Disaster Relief Shelter is a beautiful 56-square-metre (600-square foot), one-bedroom apartment mainly for people who experience fire-related or flooding emergencies, a place to take refuge from two days up to 30 days at no cost to the occupant. 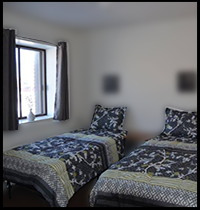 In order to access this temporary emergency accommodation you must be referred by one of several agencies in the city of Cornwall. Including the Cornwall Hospital, Hospice or The Red Cross. Although there is no cost for families in an emergency however donations are appreciated to offset the operating and cleaning costs.